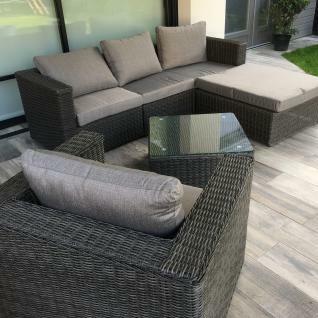 The Romini set will add an authentic touch to your garden thanks to its high-quality round polyrattan finish. Its natural look and colour make it a classy addition to any romantic or rustic-style terrace. 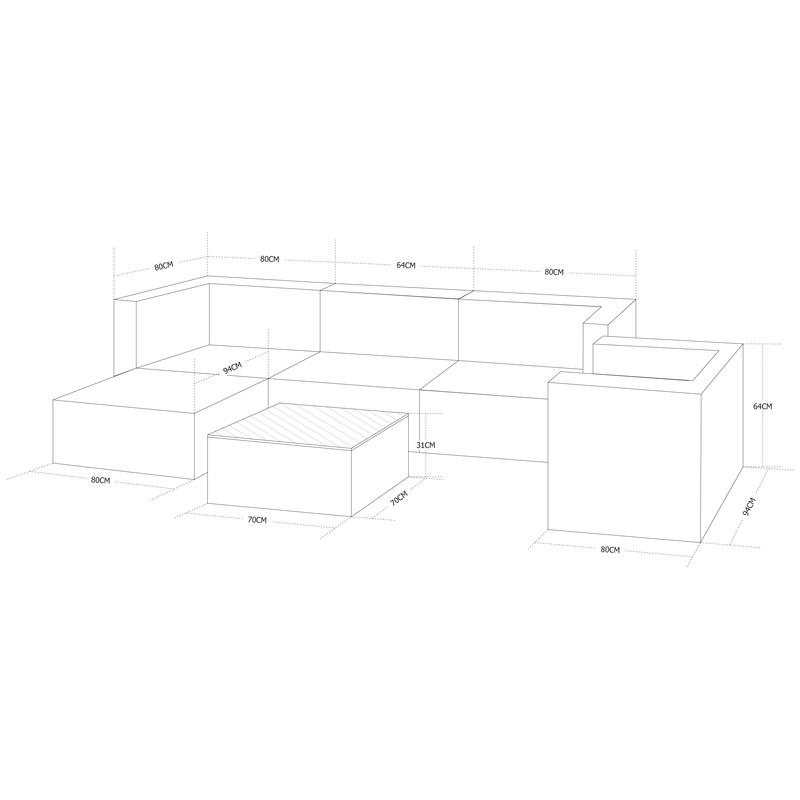 Additionally, the Romini set is modular, so you can set it up as you please. The Romini set offers superior comfort, thanks to its 9cm-thick seat cushions and padded backrests, which offer all the comfort an indoor sofa would. Alice's Garden carefully selects the quality of the material chosen for the polyrattan. As a result, the life of the Romini is exceptional! Alice's Garden polyrattan is resistant to sunlight and bad weather (snow/rain/salt water). The cushions are removable and waterproof. To prevent rust from developing, the metal structures are made of reinforced aluminium. The glass top of the coffee table is made of 5mm thick frosted tempered glass.